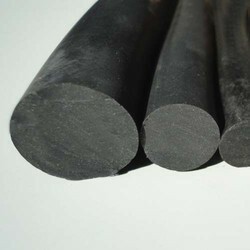 We manufacture Nitrile rubber cords from 3 mm Diameter to 35 mm diameter. We manufacture this product in Continuous microwave curing line which give best extrusion quality and physical properties. Our offered Nitrile Cords is a perfect choice for sealing those areas where fuel, solvents and hydrocarbons are being retained. The nitrile cord is resilient to many fuels and solvents while maintaining flexibility under pressure. These find its wide applications in applications involving resistance to petroleum oils minerals and vegetable oils. It is also suitable for contact with aromatic hydrocarbons and most dilute alkalis and acids.